The new Moto Z2 Play was announced only a short few weeks ago, yet here we are with the Verizon model in house. You may be wondering why we care about a mid-tier-ish phone like the Z2 Play when we have the OnePlus 5 out, the Essential Phone on the way, and some others, and well, you must not have been reading Droid Life much over the past year. I loved the original Moto Z Play so much, I wrote a love letter to it. It was also our first ever somewhat produced video review. So it makes sense that we give the follow-up a good, deep look. 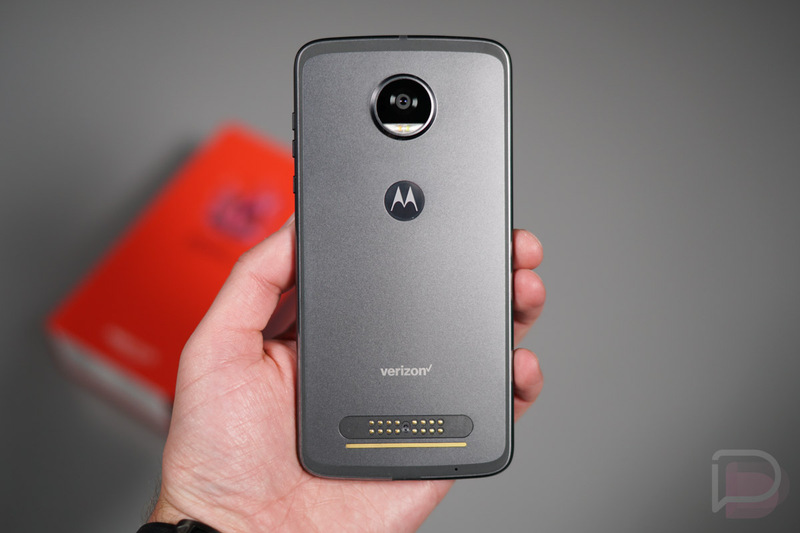 To recap, the Moto Z2 Play is very much a Moto Z phone, meaning you have Moto Mods compatibility and a similar shape to last year’s Moto Z line. In fact, this phone looks a heck of a lot like the flagship Moto Z from last year with its incredibly thin body. In terms of specs for this Verizon model, it packs a 5.5-inch FHD AMOLED display, Snapdragon 626 processor, 32GB storage with SD slot, 3GB, 12MP f/1.7 camera on the back, fingerprint reader, and Android 7.1 Nougat. It also features a 3000mAh battery, which is a big drop from the 3510mAh battery in last year’s Moto Z Play. The new Moto Z2 Play is available at Verizon right now for $408 full retail or $17 per month. So is the Moto Z2 Play a worthy follow-up to one of the sleeper phones of 2016 that I couldn’t get enough of? I can tell you, after playing with it off and on over the past few days, that it’s quite good even with the reduction in battery size. Once this OnePlus 5 review is done, we’ll find out for sure.